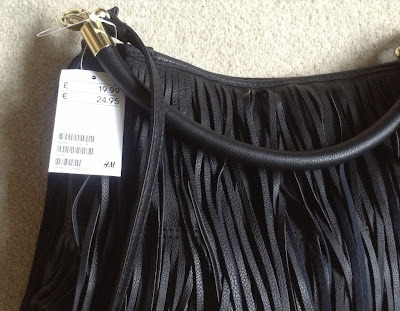 Following on from last week's post...here's the second half of my weekend shopping, which includes all the non-beauty related bits I bought a couple of weeks ago. (If you didn't catch it, you can see the skincare, make up etc I bought here). First up is my new favourite handbag which I had spotted online so was on a mission to find in store. 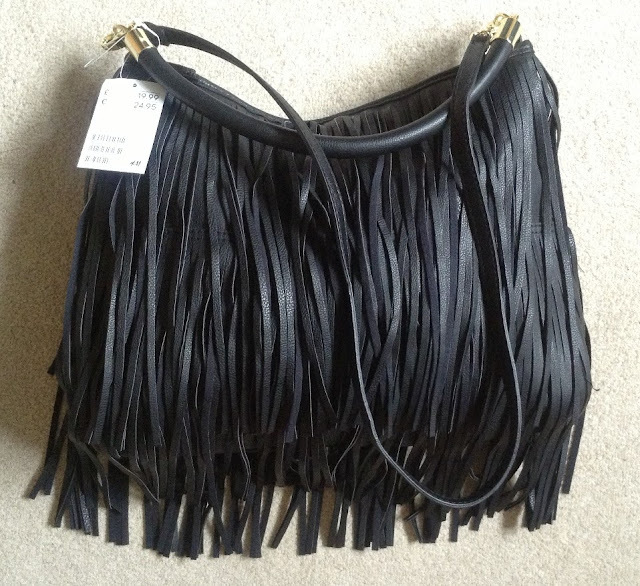 I love the fringing and it's a great 'weekend' size, Plus it has both a long and a short strap - something I always prefer in a bag. All for £19.99. Sold. Thanks H&M. 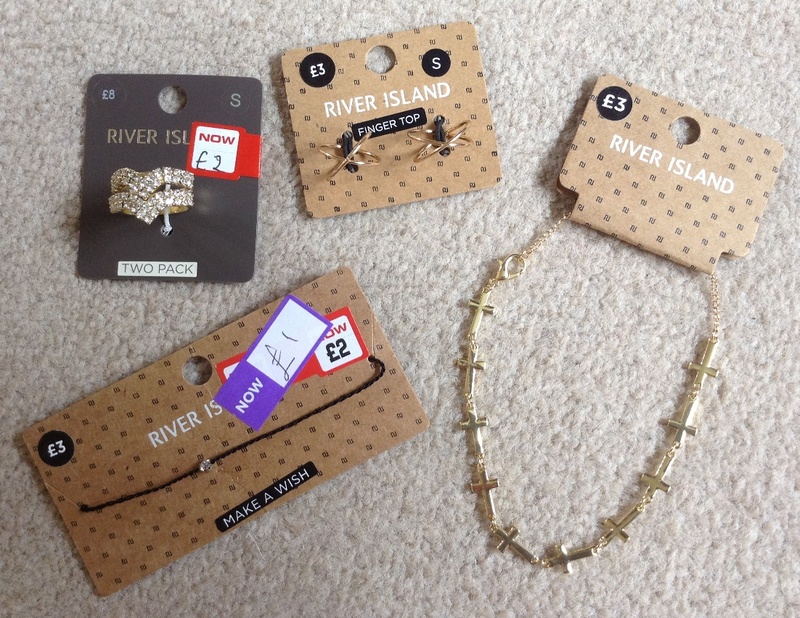 Then I picked up these few bits and pieces in River Island - I shop I normally never go in. Mixed bag here, as I've gone off the crosses bracelet a bit now, and as cute as I think finger top rings are...they're really annoying to wear! I can see me losing both of them in the not too distant future.